Twice every year, the time comes round again: dig out the tools, loosen the wheel nuts, change the tyres. The winter or summer tyres must also be fitted to suit the season. 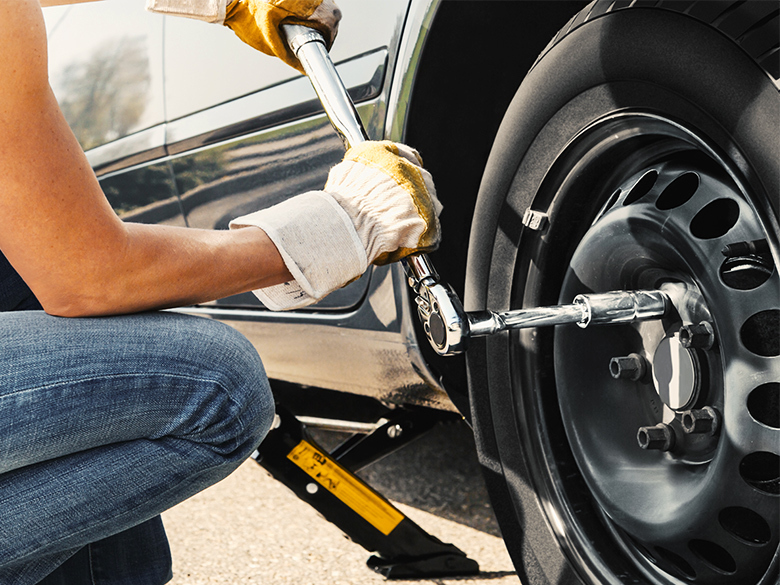 Our tip, if you are not sure when is the best time to change your tyres, is to keep to the tried and tested "O-to-E" rule (October to Easter) – this is an easy way to make sure you're doing it right. "Strictly speaking, it is the wheel, i.e. the tyre and the rim, that is changed. But people usually call this "tyre changing"." This puts the start of the summer tyre season at Easter. Temperatures start to become milder at this time of year. We recommend fitting your summer tyres when the temperature is steadily above seven degrees Celsius. From October, as soon as winter conditions such as frost and black ice set in, it's time: off with the summer tyres and on with the winter tyres. The waiting list in the garage will be long and professional tyre changing is expensive. The solution: Changing tyres yourself: How can I do that? Easy – here come our step-by-step instructions. 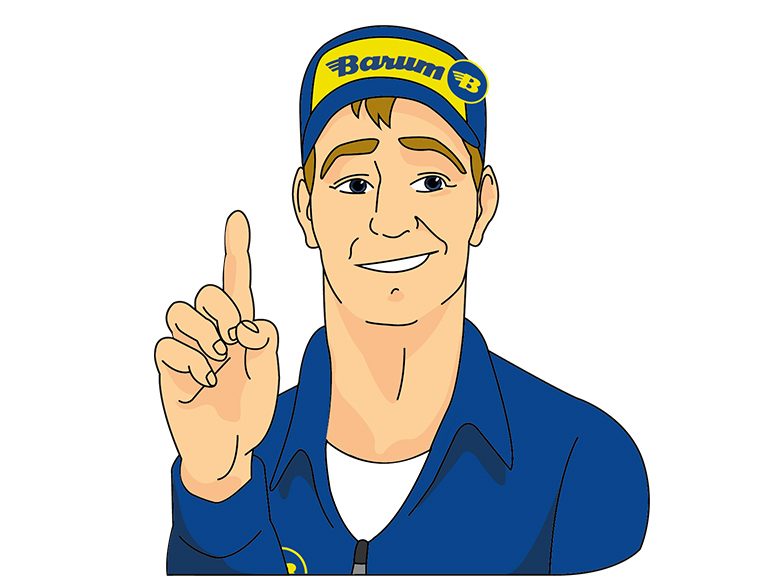 "Do you know the rules for winter tyres? The law in Germany states that winter or all-weather tyres are compulsory on all axles in winter conditions (frost, black ice, snow)." Your basic equipment for changing tyres must include a car jack. They come in different sizes, with different load-bearing capacities and different features. A car jack with a load capacity of at least two tonnes is usually sufficient for changing tyres at home. The maximum lifting height also plays a role here. It describes the distance from the ground when the jack is fully extended. Why is this so important for tyre changing? If you use a jack lifting height that is too low for your car, it might not be enough to jack the car up. The result: The tyres cannot be removed. You can find the correct lifting height for your car in the vehicle manual before you buy a car jack. Another important tool to have when changing tyres is the cross wrench (also known as a 4-way wheel brace). Use the cross wrench to loosen the wheel nuts and to tighten them up again after changing the tyres. As a rule, the spanner widths on a cross wrench for cars are matched to the most common wheel nut sizes. However, you should check that the cross wrench fits the size of your wheel nuts before buying. "Using an impact wrench to loosen the wheel nuts to make this even easier, faster and less effort. It does the work completely automatically. A battery-operated impact wrench is very practical. Tight wheel nuts or bolts are best loosened using a little penetrating oil." 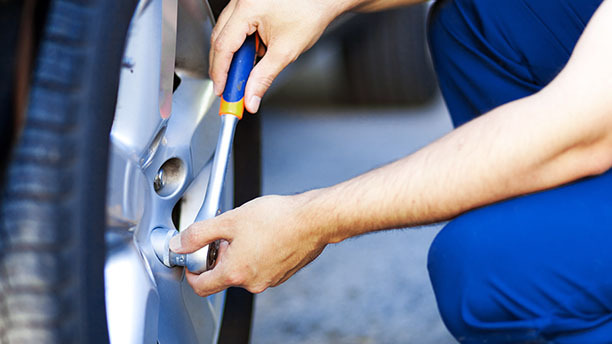 A torque wrench is indispensable when changing tyres. With it, you can ensure that the wheel bolts (or wheel nuts) are tightened correctly. This is extremely important for the seating and the wheel grip. There is a stipulated torque value for each type of car. This is usually between 110 N⋅m and 120 N⋅m (Newton metres) as it depends on the vehicle model, rim size, design (steel or aluminium rims) and number of bolts. You can find which value is right for your wheels in the vehicle manual. The torque wrench is only for tightening wheel bolts, not loosening them. If you use it incorrectly, the mechanism might be damaged. 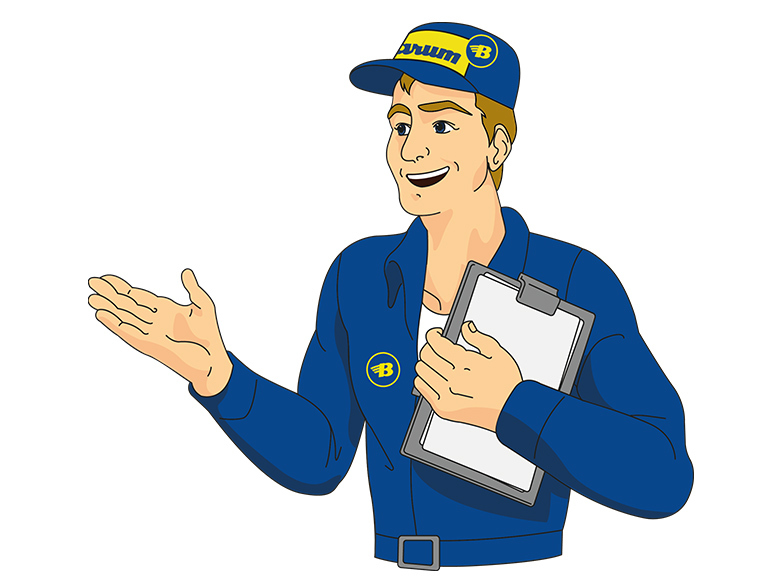 "After a tyre change, make sure you tighten the wheel bolts again after you have driven 50 to 100 kilometres." You can use the wire brush to remove loose rust and dirt from the wheel hub, the wheel connecting piece and the axle. Always wear gloves when changing tyres. Not only will they give you a better grip on the tools, they will also stop stubborn brake dust from getting on your hands and under your nails. Step 1: Put your car into first gear in your car and then apply the handbrake. For automatic transmissions, put the car into "park". Step 2: Use the cross wrench to loosen all of the wheel bolts in the wheel. Step 3: Position the car jack at the point indicated on the car. Jack your car up so that the tyre no longer touches the ground – a few centimetres is enough. "The position on the car where you should place the car jack can be found in your vehicle manual. Some cars also have a mark on the sill at the lower edge of the body." Step 4: Use the cross wrench to remove all of the wheel bolts. Take the wheel off the hub and mark it with your grease pencil. Step 5: Use the wire brush to remove any rust and dirt from the wheel hub. Now put on the new wheel. "When mounting the wheel, look to see if it is directional. The wheel can only provide its special running characteristics with full safety if it is mounted the right way round. " Step 6: Refit the wheel bolts. Use the cross wrench to tighten them lightly at this stage. Step 7: Lower your car using the car jack until the tyre makes contact with the ground. It shouldn't be able to turn any more. Step 8: Use the torque wrench to tighten up the wheel bolts to the stipulated torque. Always tighten the wheel bolts in a criss-cross pattern. This ensures that the wheel is seated correctly and snugly. Step 9: Lower your car the rest of the way and then remove the car jack. Repeat these steps for all of the other wheels. "Slacken off your torque wrench after use. A permanently tensioned spring loses its tensile force. This means that the torque value settings will no longer be correct." There are some cases where having a tyre changed in the garage makes sense. For example, if your car has a direct Tyre Pressure Monitoring System (TPMS). In this case, sensitive sensors are built into your tyres which measure the actual air pressure and transmit the values directly to the control unit. If the air pressure is too low, the system will tell you that the pressure needs adjusting. 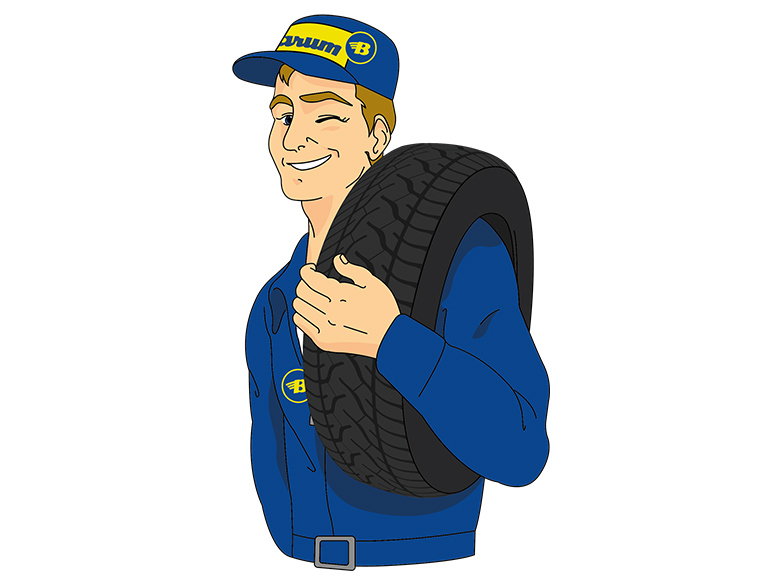 If you have a direct TPMS on board, then you should only have your tyres changed by a professional. 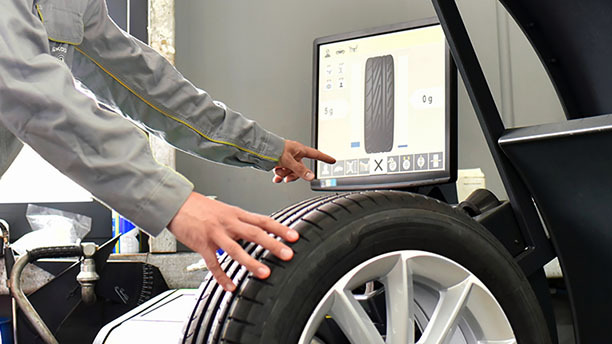 They will check the sensors in the tyres and ensure that the wheels are changed correctly. If you drive with an indirect tyre pressure monitoring system – that is, without sensors – then you can change tyres with a TPMS system yourself. In this case, you only have to abide by the instructions given in the operating manual. 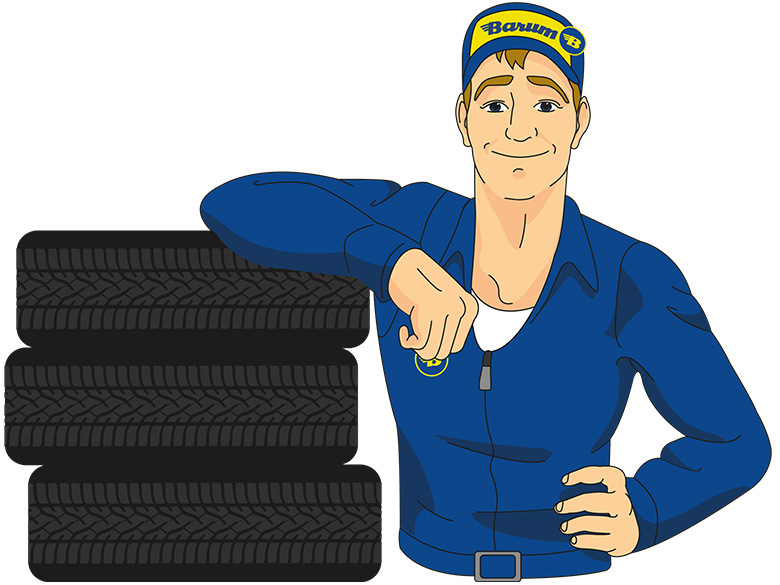 You can change your tyres by yourself without any problems if you follow our instructions. It is not the tyres that are tightened, it is the wheel nuts. Our expert will tell you how to do it.